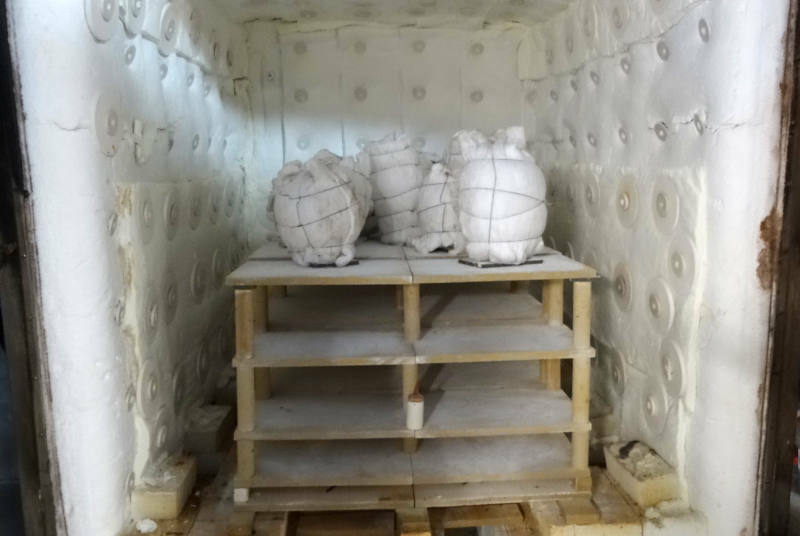 It was approximately 2000 years ago when the Greek and Roman potters stared exploring the uses and possibilities of applying a micro-fine clay coating to their pots prior to firing. This fine clay layer contains clay particles so small, that they melt into a semi-glaze like coating and surface at around 1000C. First Terra Sigillata pot made in 1987. Casuarina and rope markings. Initially it was used to change the colour of the surface or to produce red pots from a white body, but soon the use of it as a “glaze” became apparent and the term Terra Sigillata was used – literally meaning “Earth Seal”. 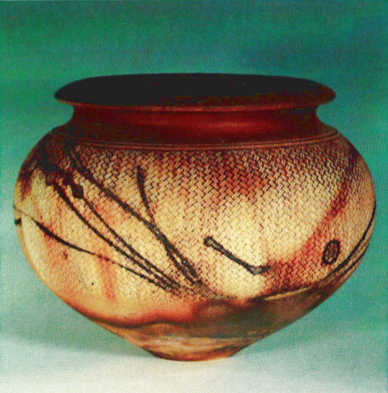 It has been felt that the Egyptians may have actually started using the Terra Sigillata as early as 5000 years ago, and what we now possibly called their early glazes may have been this fine clay coating. 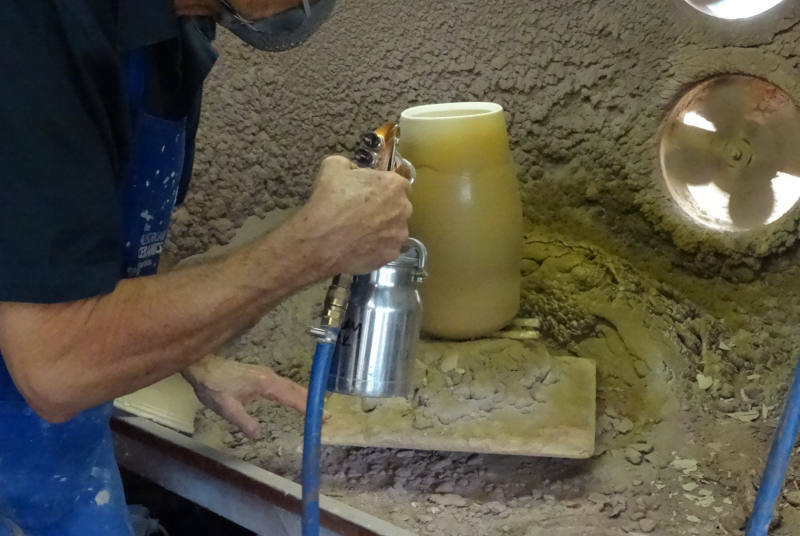 The Terra Sigillata is obtained by defloculating clay and syphoning the fine layer of clay that settles between the water and the sediment, this can then be applied by brush, dipping or the use of a spray gun. I have developed a method of applying and firing this work using today’s technology and the past’s theories! 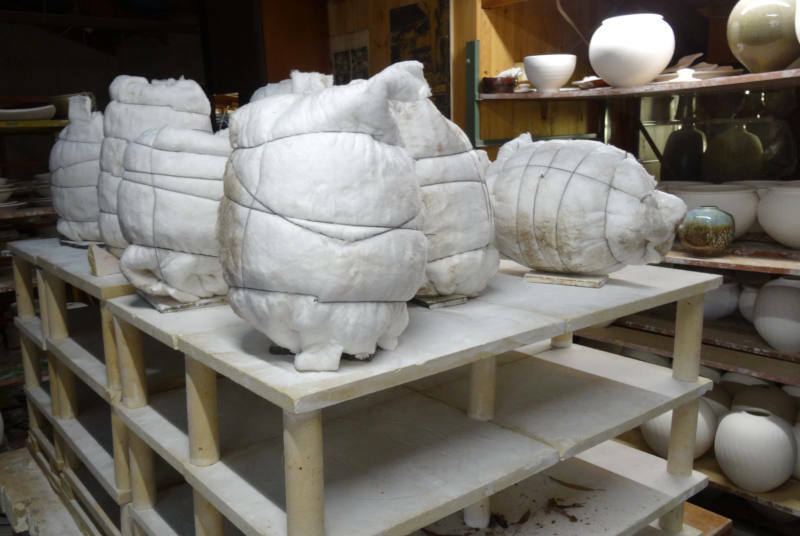 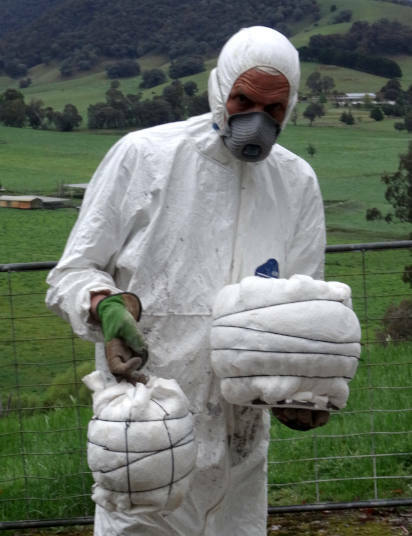 The process of the second firing is long, each piece separately wrapped in a ceramic-fibre balnket, encasing materials such as salts, oxides and casuarina fronds. The whole unit is held together by binding with wire. 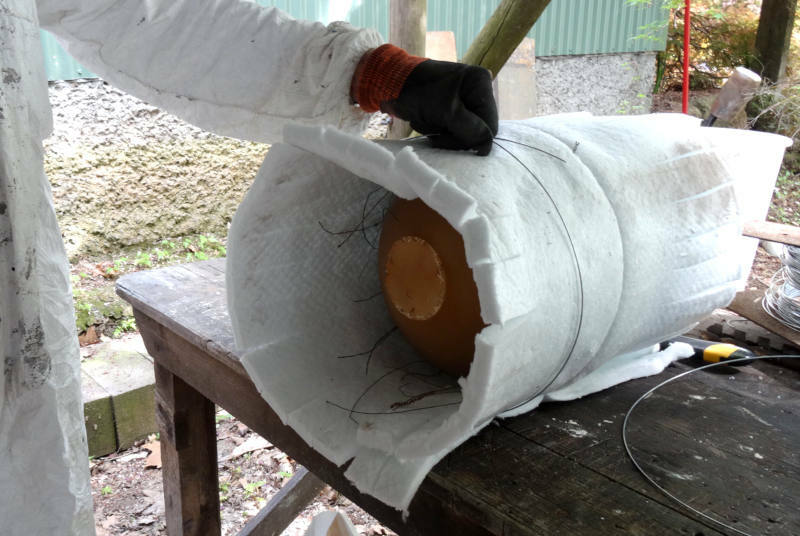 Loose and tight wrapped areas are left where the fore blanket is held, allowing the oxide fuming and flame paths to be a part of the metamorphosis. 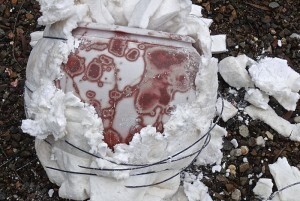 Using ceramic-fibre as an individual saggar around each pot during firing broke new ground – a method never used previously. 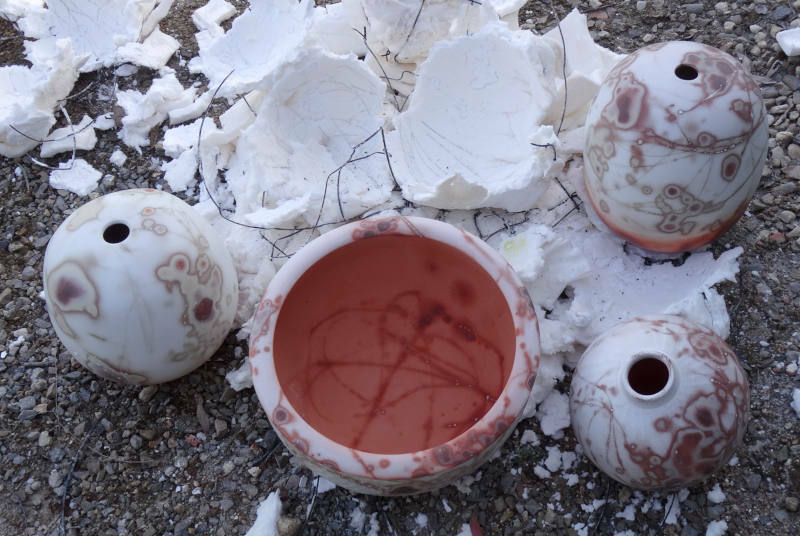 To use Terra Sigillata is a joy, it is like having the opportunity to work with the raw clay over again, the pots maintaining the freshness of the plastic clay from which they were formed and evolved.